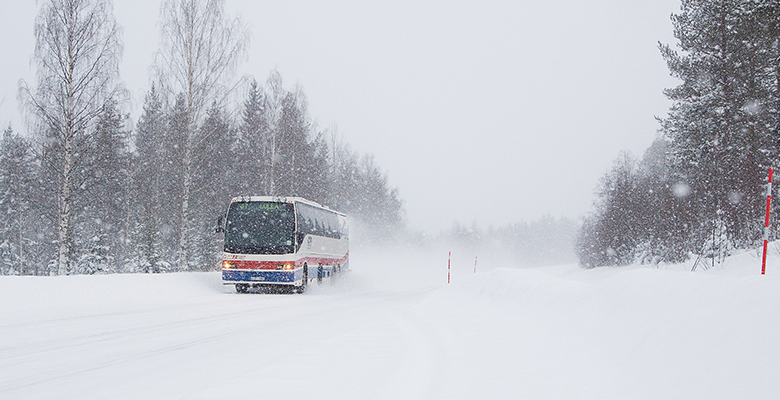 Länstrafiken i Norrbotten AB is responsible for all public transport by bus in Norrbotten County. We collaborate with about 40 transport companies under the name Resplus, with the aim of making travel as easy and flexible as possible. 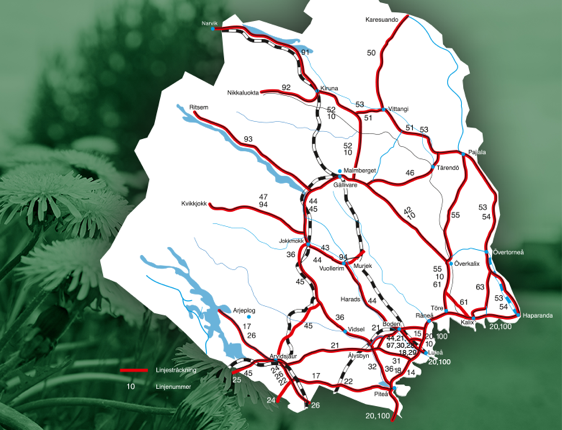 For that reason, information about most travel in northern Sweden is available via the travel planner or by calling ring 0926-756 95 (+46 926-756 95). We also coordinate all medical transports by bus and taxi, and provide a booking service for taxi transport for the disabled in the municipalities of Arvidsjaur, Gällivare, Haparanda, Jokkmokk, Kalix, Pajala, Älvsbyn, Överkalix and Övertorneå. The bus taxi is intended for you who require transport right up to the door. Information and booking on tel. 0926-756 95 (+46 926-756 95).